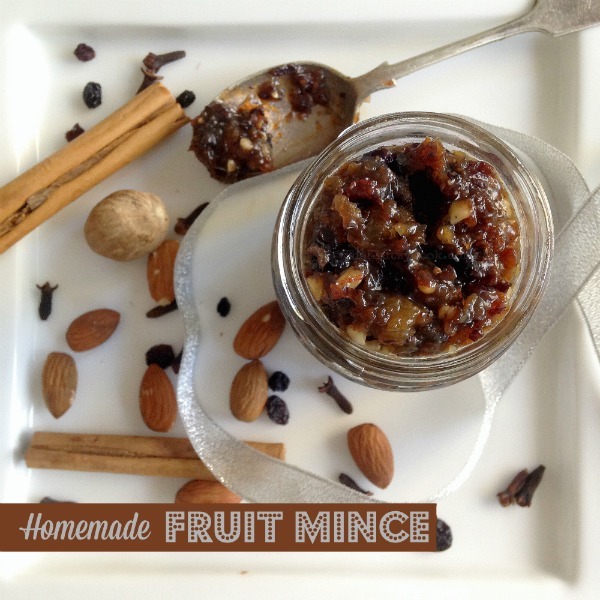 A traditional fruit mince recipe – perfect for mince pies at Christmas time. Easy to make, lasts for months and tastes delicious. Every Christmas this fruit mince is a very important part of our preparations. Why? Because the fruit mince pies that result are close to the most prized food on the Christmas table. We all love them, and so I need to make a lot. And I mean a LOT. Not just to get us through Christmas day, but the days after (and sometimes prior) as well. Apart from the flavour, the best part of this fruit mince is that it will keep for a long time in the fridge. So you can make it well in advance and lots of it. 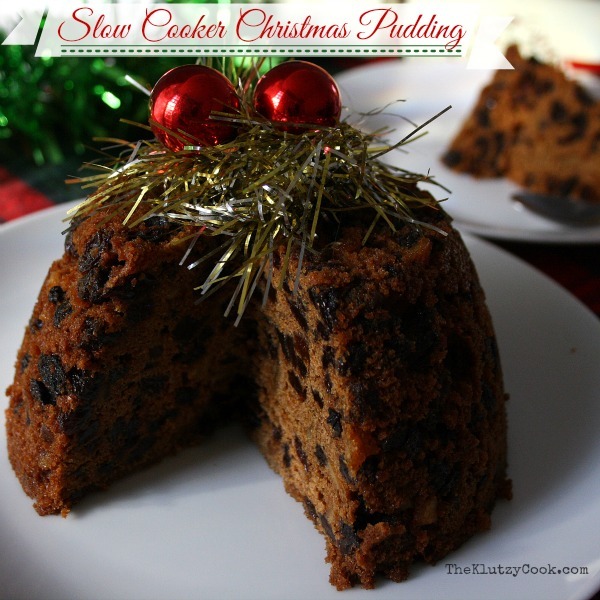 If there is any leftover after the festive season, use it up in other recipes. I’ve used it to make scrolls and muffins in the past. 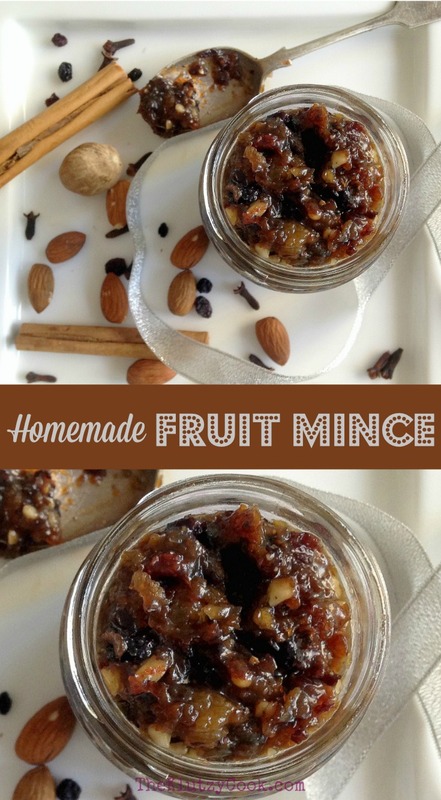 A traditional fruit mince recipe that is perfect for Christmas mince pies. Place dried fruits and almonds into food processor. Pulse several times until the mix is coarsely chopped. Cover and place in refrigerator. Stir daily. Allow at least 2 days before using, preferably a week. The mix gets better with age so the longer the better. -- If you prefer, other dried fruits can be used e.g dates, glace cherries, cranberries. Dried ginger is also a nice addition. -- Traditionally blanched almonds are used. I just used regular almonds with the skin on. Either is fine. -- Once the mixture has been in the fridge a few days, there is no need to keep stirring daily. 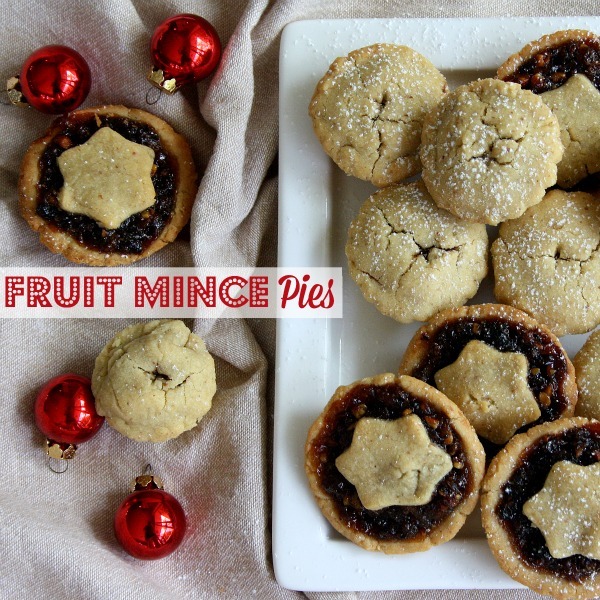 This recipe is perfect for Fruit Mince Pies. Check out the recipe here. I share practical recipes and tips to get the family fed with minimum fuss and maximum results. If you are struggling with time, know-how or inspiration, it can be easier and stress free. Let's get back to basics, enjoy the cooking experience and dish up food the family will love.